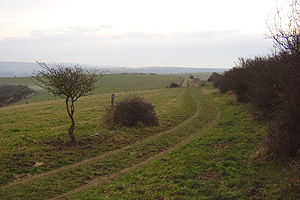 The Patcham countryside, also known as Lower Standean, extends north from Patcham towards Ditchling Beacon and from the Chattri in the west to Ditchling Road and Stanmer Park in the east. 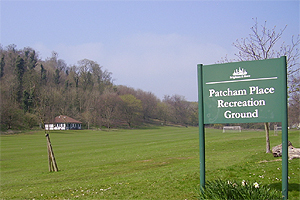 The South Downs National Park extends in to the city at Patcham and includes Patcham Place recreation ground. Some of the local produce from the area can be bought at Standean Farm Butcher in Patcham. Green Ridge is a well loved public open space, and Site of Nature Conservation Importance (SNCI), by Patcham windmill. The area has some woodland called Coney Wood, an ancient hedge and a dew pond. Some of the site has a wild and natural feel and forms a typical high downland ridge, sweeping down through Westdean towards the sea. There are spectacular views to be enjoyed all around. The site is rich in wildlife and offers a countryside experience including many opportunities for quiet recreation. You can now download an information map of Green Ridge and Coney Wood, produced by the local community group Keep the Ridge Green. A map of the area is now available. Sheep will once again be grazing for wildlife on Green Ridge from 5 September 2011. The area grazed at Green Ridge (PDF 97 KB) includes all of the open space between Dyke Road and the windmill as well as the open space along Windmill Drive. Falmer is a small village in the South Downs National Park, in East Sussex, with a pub, church, green and pond some of which is owned by the council. The village was divided in two by the construction of the A27 dual carriageway and is linked by road and foot bridges. Park Farm Shop sells a variety of local, seasonal and organic produce some of which is grown just across the road. Falmer Hill and Newmarket Hill, either side of Falmer Road, rise to the south of Falmer village towards Bevendean and Castle Hill. There are important archaeological earthworks and an enclosure to the east of Falmer Road, as well as Loose Bottom Site of Nature Conservation Importance (SNCI). The area known as Balmer is centred on the site of a medieval village and extends north east from Falmer over Balmer Huff and Balmer Down towards Lewes. 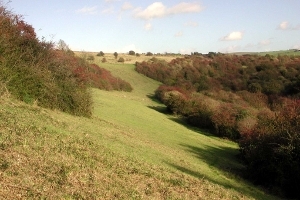 Part of the Clayton to Offham Site of Special Scientific Interest (SSSI) extends south through Ashcombe Bottom and up towards Balmer Down and can be seen from the South Downs Way. There are also extensive archaeological field systems which can clearly be seen across Buckland Bank, Buckland Hole and Balmer Down.